Game wardens in Tennessee work for the state’s Wildlife Resources Agency and are known as wildlife officers. As law enforcement officers, one of their primary duties is identifying and arresting poachers. Tennessee offers an unusually attractive environment for legal hunters and poachers alike. Despite the threats of live fire around the training grounds of Fort Campbell, many poachers choose to hunt in this restricted area. The fenced-in 100,000-acre fort does not allow hunting, so the deer there are particularly large and make exceptionally tempting targets. Wildlife officers in Tennessee carry out a plethora of additional activities. They collect census data on birds and game, assess and remediate damage to habitats, train individuals on firearm, hunting, and boating safety, and educate the public about conservation. While a Tennessee wildlife officer’s law enforcement activities pose difficulties in and of themselves, the combination of their duties keeps them challenged both physically and mentally. Many residents of Tennessee seek these challenges and apply to become wildlife officers. Applicants with a thorough knowledge of the requirements and selection process have the best chance at being successful. Citizenship: Proof of U.S. citizenship or of permanent resident alien status for those who are eligible and have applied for citizenship. Must be a resident of Tennessee at the time of appointment. 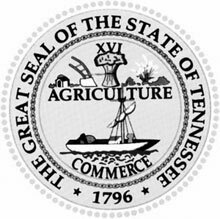 License: A valid Tennessee-issued driver’s license is required. Individuals must maintain an acceptable driving record. Hearing: The applicant must have unaided hearing adequate to perform all the essential duties and functions of a wildlife officer, including long distance, directional and voice conversation hearing. Vision: Visual acuity correctable to 20/20 in each eye. Normal binocular color vision with a full field of periphery is required. Applicants who have undergone corrective surgery for visual deficiencies may be required to submit additional medical information. Wildlife officers in Nashville earned the 4th highest average salary in the country for this professional classification in 2016 according to the US Bureau of Labor Statistics. The median salary among wildlife officers in the Nashville workforce region exceeded the national median for game wardens by nearly $24,000.